Joy works on floating sculptures and installations since his 70m2 recycling raft „future-raft“ for the worldfair EXPO2000. 12 years and several floats later, he founded the maritime Maker platform Sealand Multiversity and started the construction of asap-island in Goa/India with local partners and an international community. The plan was to create an autarkic floating island in subtropical waters, low-budget and open-source. 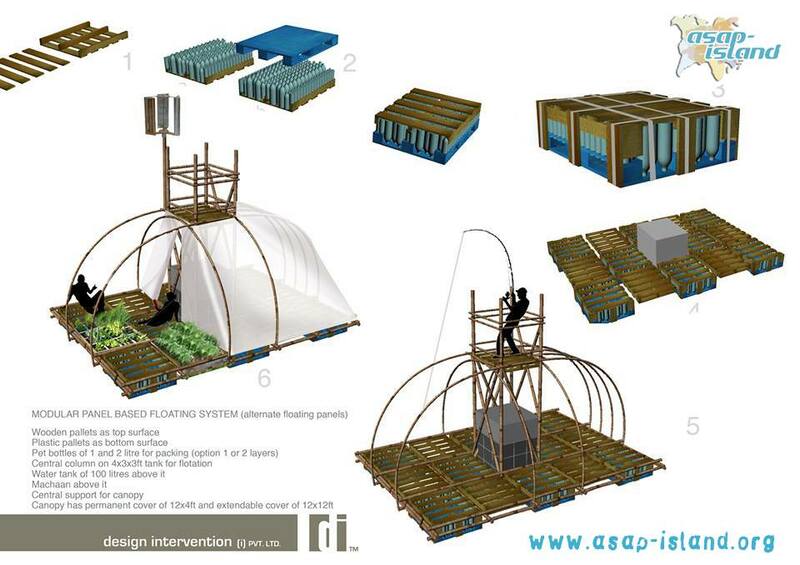 Inspired by the climate-change related rise of sea-levels, asap-island is ment as a pilot project, research platform and design-study for bottom-up development help. 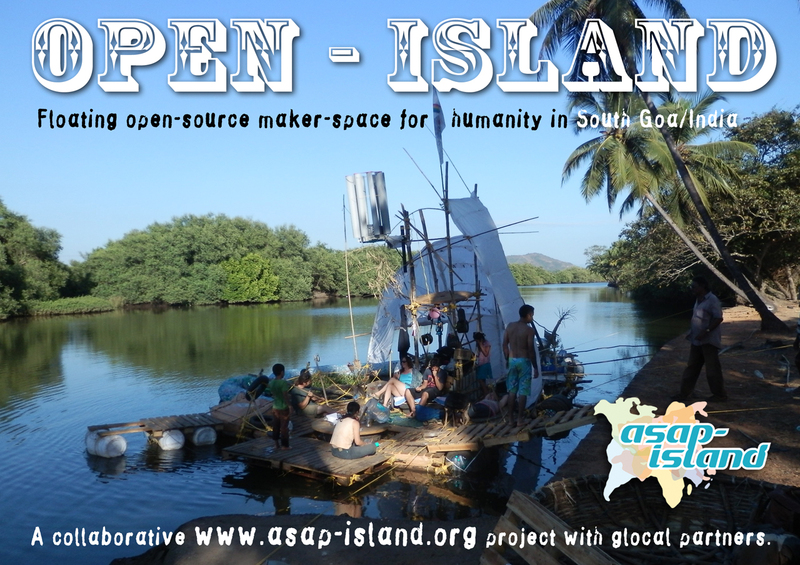 While Joy considers this process of cocreating a floating habitat as a glocal social sculpture, the asap-island project grows interdisciplinary in its different directions within the collaborative cocreation. After the catamaran raft i-land Goa for the Arabian Sea in 2012 and the riverboat Saly on River Sal in 2013, the Sealand Multiversity now initiated the 5 weeks „asapisland 3.0“ workshop in India. Once again, the German NGO „Positive Nett-Works“ cooperated with „Art Escape“ and „Design Intervention“ in Goa. See the logbook of these 5 weeks of passionate work, cocreative improvisation and joyful learnings within a multicultural interdisciplinar team, creating a floating island out of recycled and renewable materials, the beginning of OPEN-ISLAND.